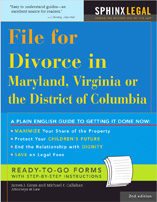 Maryland business owners, who are getting a divorce, are sometimes surprised to learn that their spouse is a secret partner in their business. The price can be up to 50% although their other partner, Uncle Sam sometimes gets a share, too. When the spouse’s lawyer calls me to make an appointment with a business valuation expert, they say “They can’t do that, can they?” Yes, they can. Marital property includes any asset acquired during the marriage, no matter how titled. That includes businesses and pensions plans, as attorney John King explains in this press release.